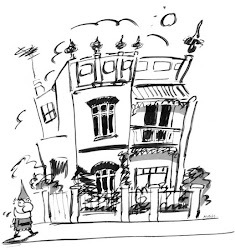 books illustrated blog: Back to Booktown 2011 - how are you getting to this book-lovers heaven? Back to Booktown 2011 - how are you getting to this book-lovers heaven? (image c/o Seymour Railway Heritage website). 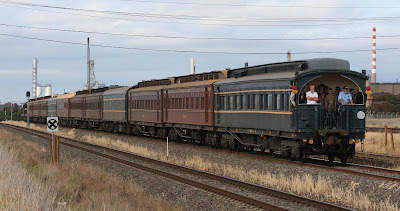 On Saturday 14th May catch the Clunes Booktown Express, a heritage train from Melbourne, destination Clunes Booktown, where thousands of rare second-hand and collectable books are on sale. The weekend includes free Writers' Talks , street theatre, the Australia Fair Grand Concert Street Organ, wine, food and live music. Books Illustrated's stand - with a wide variety of books and limited edition prints on offer - will be part of a special Children's Booktown including book whispering from La trobe University, the magic of paper marbling, story telling, artists' demonstrations and hay bales to climb. Venue: Clunes Booktown - Clunes was the site of Victoria's first gold strike and is located in a hidden valley surrounded by rounded hills, situated 30 km north of Ballarat. Hello from Ann James in Korea!